The fan evenly distributes the air in your room and creates a cool, pleasant breeze. When the unit is placed in the desired position, it works in combination with your AC unit or through an open window to circulate the fresh air. The fan is especially helpful to move the air over multiple floors or rooms with high ceilings. 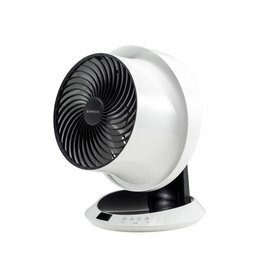 With the help of the fan, you and your family will be able feel natural refreshing air throughout the hot summer season.